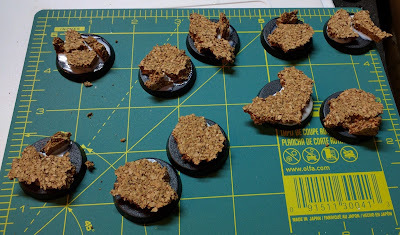 After grabbing my copy of Betrayal at Calth, I realized that I now have a bunch of Space Wolf Legionnaires, in the pipeline, but I don't have anyone to fight against ... or do I? 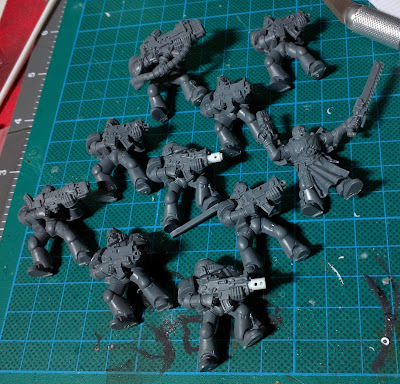 How about the shed load of Dark Angels from the Dark Vengeance Starter set. I have a bunch of them left over, unpainted and un-assembled. It fits the fluff, the enmity between the Wolves and the Unforgiven. 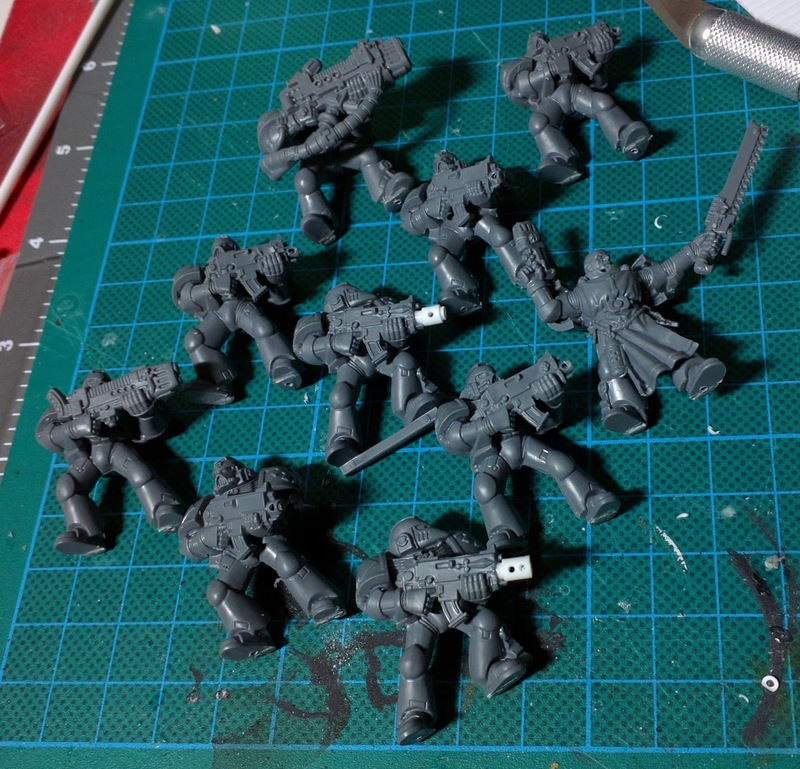 The first ten, altering the bolter barrels on the Corvus pattern marines and cutting the slotta tabs from the feet, so I can paint the miniatures a little easier with the airbrush. I also began work on the bases. This time I am trying something different. I am trying cork this time. Lets see how is goes, compared to bark pieces. Keep watching this blog to find out how it all goes.